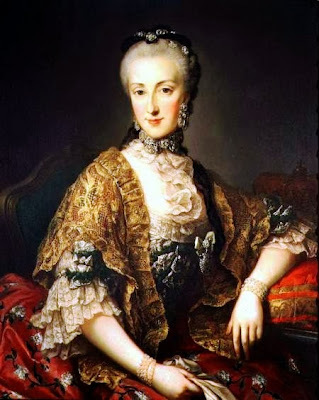 A little while ago we made the acquaintance of Francis I, Holy Roman Emperor and today the salon is visited by his daughter, Archduchess Maria Anna Josepha Antonia of Austria, known to those close to her as Marianna. Whilst her sister made a fateful marriage, Marianna was to dedicate her life to scholarly and religious pursuits, battling against ill health every step of the way. 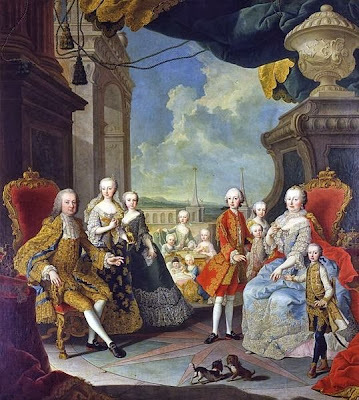 Archduchess Maria Anna was born at the Hofburg Palce to Maria Theresa of Austria and Francis I, Holy Roman Emperor and until the birth of her brother, Joseph, in 1741 she was heiress presumptive to the territories of the Hapsburg empire. Although Marianna was a bright and intelligent girl, she endured a number of medical conditions, most notably a hump on her back as the result of an agonising fused spine. Already weakened, a spell of pneumonia at the age of 19 left the young woman with breathing difficulties for the rest of her life and when this was followed by a disfiguring bout of smallpox, it quickly became apparent that she was not going to make a suitable match on the European marriage market. 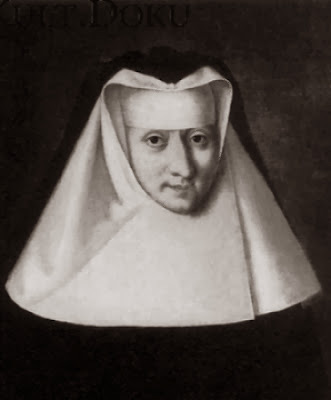 Adored by her father who was concerned for her future, Mariana did not dwell on the empire-building impact of a good royal marriage and instead took holy orders, becoming abbess of the Imperial and Royal Convent for Noble Ladies in Prague and subsequently abbess of Klagenfurt, where she lived with her sister Maria Elisabeth. 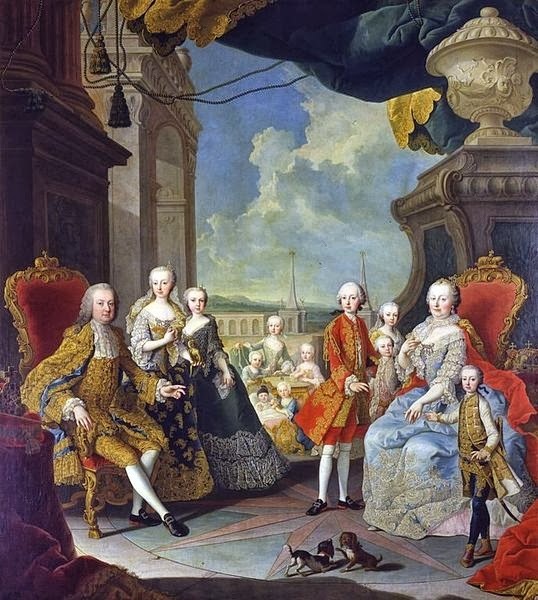 Her youngest sister Marie Antoinette, visited Marianna and Maria Elisabeth on her way to her own marriage at Versailles, spending an evening with her siblings during her journey. As she increased her philanthropic efforts Marianna also remained dedicated to furthering her education and had a particular interest in science, conducting her own experiments and funding those of others, as well as archeological expeditions and creative endeavours. She was an important patron of the arts and was made a member of both the Vienna Academy of Art and the Florence Academy of Art, as well as gaining the respect of the scientific community for her patronage of research and scholarly pursuits. Respected by the people of Klagenfurt, the Archduchess remained there as her health deteriorated, eventually dying in the adopted city she had come to love.